The Centre for Low Carbon Futures has today released a report providing the first comprehensive technical and economic assessment of carbon capture and utilisation (CCU) as a viable but poorly understood option for reducing carbon emissions. 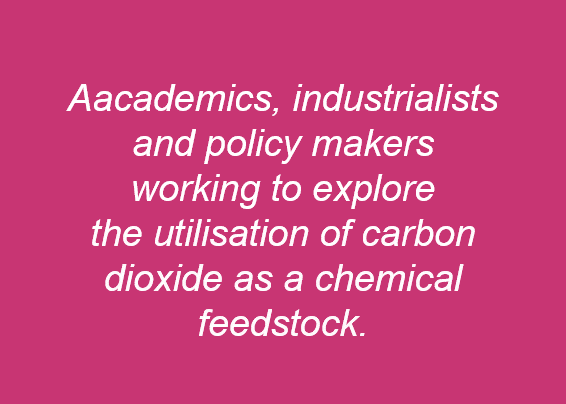 The report is a collaboration between CO2Chem, a UK research council project aimed at developing a UK community towards a sustainable chemical feedstock supply by 2050, the University of Sheffield in the UK and Energy Research Centre of the Netherlands (ECN). Rather than treating CO2 as waste, as is the case with carbon capture and storage (CCS), the CCU process converts it into commercially viable products such as bio-oils, chemicals, fertilisers and fuels. These could replace fossil fuel based products further reducing greenhouse gas emissions and improve waste treatment. CCU includes using waste CO2 as a chemical feedstock for the synthesis of other chemicals, as a chemical source of carbon for mineral carbonation reactions to produce construction materials, and as a nutrient and CO2 source to make algae grow and supply fuels and chemicals. However the technology is in the research and development phase, is not yet commercialised on a large scale and requires more investment to make this happen. The orientation paper for the EU Framework 7 2012 Nanosciences, Nanotechnologies, Materials and new Production Technologies theme has been released and can be found at http://ec.europa.eu/research/industrial_technologies/pdf/nmp-2012-orientation-paper_en.pdf. The call is due to open on 20th July 2011 and details of the CCU call can be found on page 30. More information can also be found on the NMP team website – http://www.nmpteam.com/ . CO2Chem would like to support bids made by members of the network so please contact us if we can help in anyway. We will be discussing the funding call during the network meeting in Newcastle in September. This is the third in a series of one day meetings organised by the EPSRC grand challenge network CO2Chem and is being organised by the University Research Centre in Catalysis and Intensified Processing at Newcastle University as one of the events to mark the launch of the Newcastle Institute for Research on Sustainability. Following a launch meeting in September 2010 in London, previous CO2Chem meetings have focussed on ‘CO2 to Bulk Chemicals’ and ‘Carbon Capture Research. This meeting will focus on the applications of CO2 in the production of smaller scale but higher value chemicals associated with the fine chemicals and pharmaceuticals sectors. Bayer has launched a pilot plant in Leverkusen which uses carbon dioxide for the production of plastics with the help of a new catalyst. This is the process that was described at the CO2Chem meeting on Bulk Chemicals in Manchester in January 2011. CO2Chem and the UK Carbon Capture and Storage Community are holding a free joint event on Carbon Capture Research on Thursday 14th July 2011 at the East Midlands Conference Centre, University of Nottingham. Bookings are now open at http://carboncapture.eventbrite.com/. Please note the date change from the previous call for abstracts. 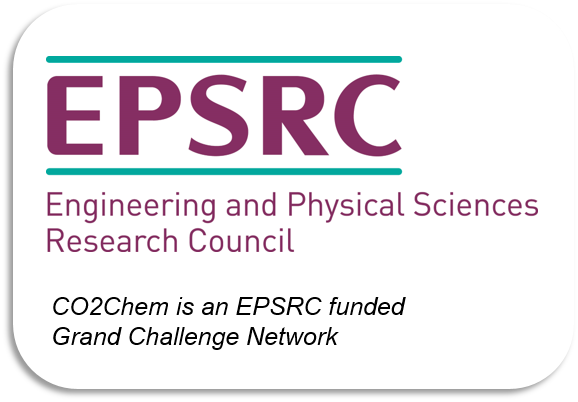 Our aim is to share recent research findings and future plans, facilitate networking amongst the academic community and industry and to help identify potential areas for future funding calls. We are still accepting abstracts (300 word max.) from the academic community for presentation as talks (15-20 min) on recent research in the area of carbon capture. Whilst industry stakeholders are welcome to attend the workshop, we are only accepting abstracts from the academic community. A number of abstracts will be selected based upon quality and general interest to the audience whilst balancing the topics. If your abstract is not selected you will be invited to give a 2 minute flash presentation on your work. Please send abstracts to me, by 30th May. The University of Sheffield is a Russell Group university, with an excellent track record in research and innovation. A number of businesses have recognised our excellence and funded specialist research centres, including Rolls Royce University Technology Centre in Advanced Machines and Drives; Advanced Manufacturing Research Centre with Boeing; Siemens Wind Power Research Centre; Network Rail Research Centre; and the Low Carbon Combustion Centre (multiple industry funders). Deadline for applications is 1 May 2011. 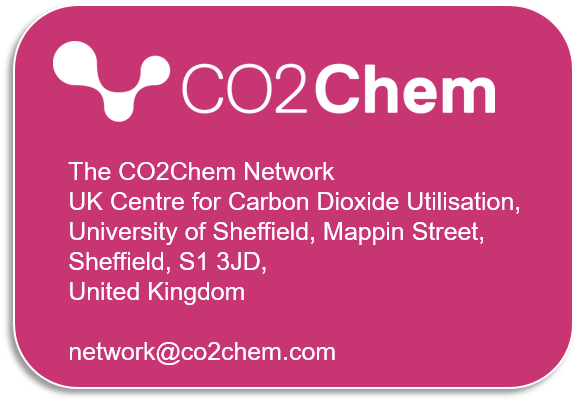 The CO2Chem network and UK Carbon Capture and Storage Community (UKCCSC) will be jointly hosting a workshop on Carbon Capture Research. The event will be held at the University of Nottingham on 6 July 2011. Our aim is to share recent research findings and future plans, facilitate networking amongst the academic community and industry and to help identify potential areas for future funding calls. We are asking members of the academic community to submit abstracts (300 word max.) for presentation as talks (15-20 min) or posters on recent research in the area of carbon capture. Whilst industry stakeholders are welcome to attend the workshop, we are only accepting abstracts from the academic community. Due to numbers we may have to limit the number of abstracts accepted based upon quality and general interest to the audience whilst balancing the topics. If your abstract is not selected you will be invited to give a 2 minute flash presentation on your work. Abstracts should be submitted to both networks at Katy Armstrong at katy.armstrong@sheffield.ac.uk and Robin Cathcart at ukccsc@ed.ac.uk by 30 April. We will let you know if your abstract has been accepted for presentation by 15 May. Air Fuel Developments Limited (trading as Air Fuel Synthesis) is working with the Centre for Process Innovation in Teesside to demonstrate the production of liquid hydrocarbon fuels from CO2. The carbon dioxide will be drawn from the air using a novel air capture system. It will be reacted with hydrogen produced by electrolysis of water to produce liquid hydrocarbon products in a single reactor step using a novel catalyst. ASF have secured funding for small scale pilot plant to be built this year, to be able to make 5 litres per day of liquid fuel. The fuel will be a mixture of alcohols which we shall convert into Jet A1.